Istanbul’s main airport is Atatürk International Airport (IST), is located 23km to the west of the city centre. Shuttle services that take you to the city centre, or direct to your hotel, are available as well as official taxis which wait outside the terminal. You can also get to the city centre on public transport, using the metro and tram, however this requires a change which can prove tricky if you have large items of luggage. 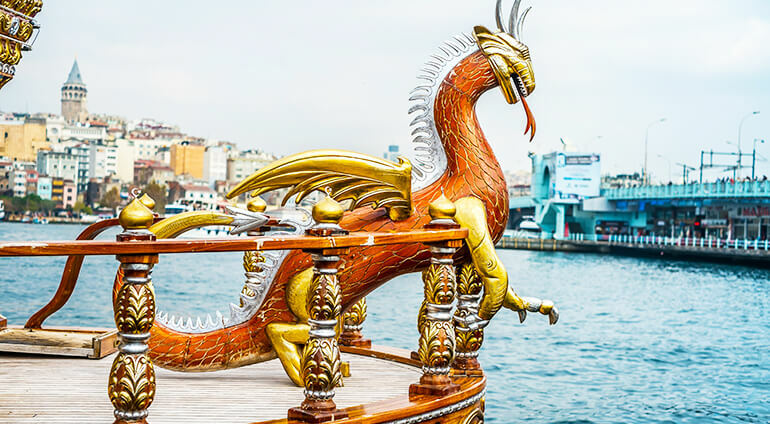 Once you’ve arrived at your accommodation, the best way to explore Istanbul is arguably on foot, but you may well need to use some sort of transportation to get to and from the different sights and districts during your stay.